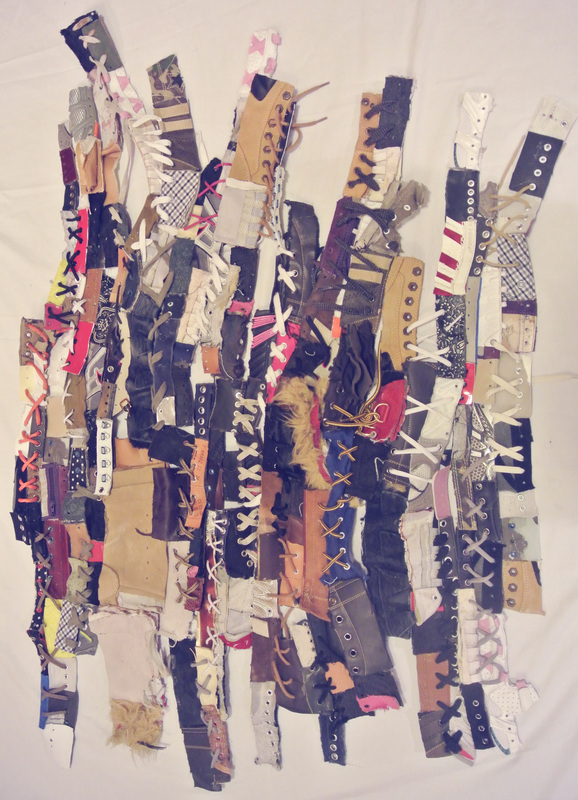 In this piece, I am creating a clothing inspired sculpture out of shoes and shoelaces. 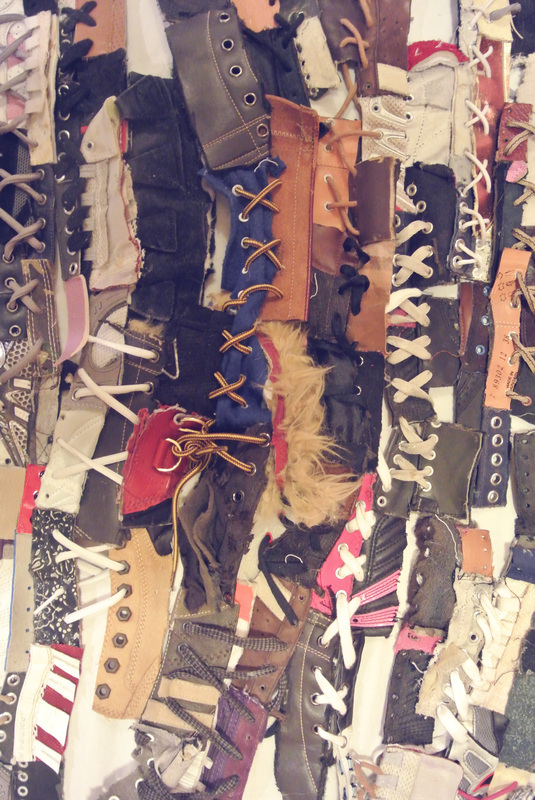 As I am worked with the materials, I began to notice corsets forming in patterns of the design. Corsets, in a manner of thinking, have an opposite function from shoes. Corsets are meant to constrain the body and shoes are designed for mobility of the body. With this piece, I am concerned with the tension between constraint and liberation of movement. 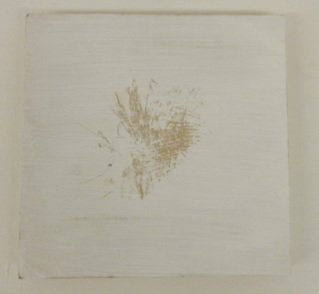 For this piece, I created skin-colored shards meant to look like detached pieces or bandages from a body. 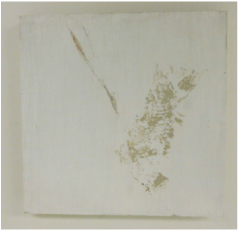 After creating the pieces, I adhered them to wood panels and then peeled them off leaving only fossil-like traces of the pieces. Finally, I scanned the shards and then printed out large scale photographs. In the installation, the actual orginal pieces are missing and only the artifacts remain. Both the wood panels and the digital photographs are only ghosts of the original pieces I created. Even a digital photograph , although it appears very realistic and three dimensional, is only an illusion and a copy of something that was. 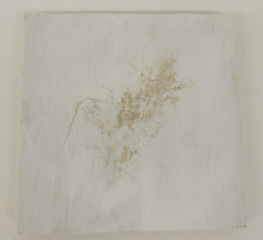 The process leaves the viewer with only remnants of remnants.